UC Berkeley is located in Berkeley, CA. 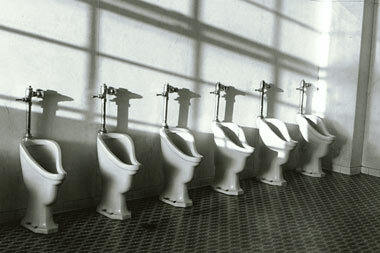 This very artistic photograph was taken in the 2nd floor mens room of Wheeler Hall at UC Berkeley in 1993 by Benjamin Herman. It is displayed here with the express permission of the author. This set of pictures was taken in Dwinelle Hall and submitted by Russell Yee. 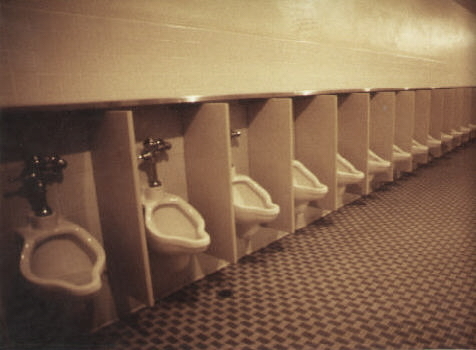 He took the picture above when he was an undergraduate at Cal in 1982.He writes: "These are the urinals beneath the main lecture rooms of Dwinelle Hall on the campus of the University of California, Berkeley, built in 1952. 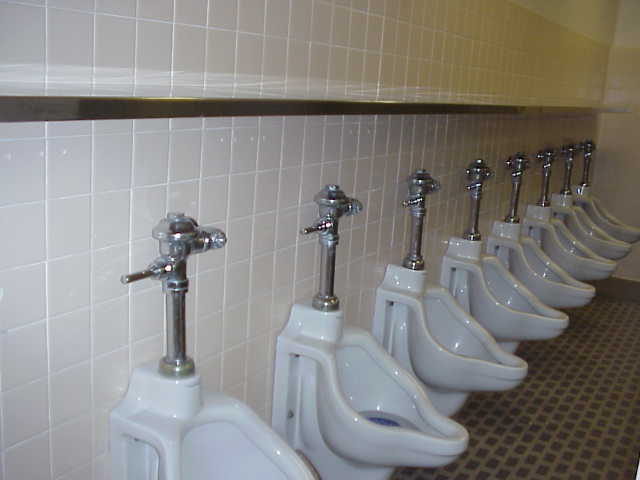 As an overwhelmed freshman rushed out of his first 250-student class he would be relieved by the sight of this array of at least 16 urinals, topped by the all-important book rack. Welcome to college!" "In a major remodeling completed in 2002 this men's room was greatly reduced in size, leaving the 9 fixtures shown in the later pictures. 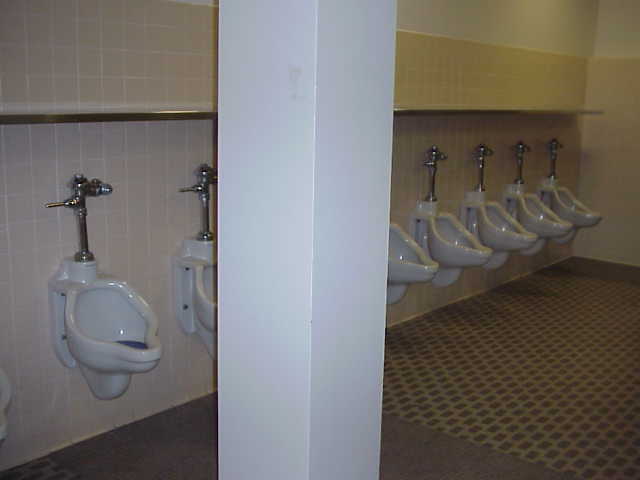 The privacy dividers were also removed."